! I just started this yesterday, it's like you know a week or so in advance what I'll be reading and you beat me to the punch with a review. I like it a lot so far. 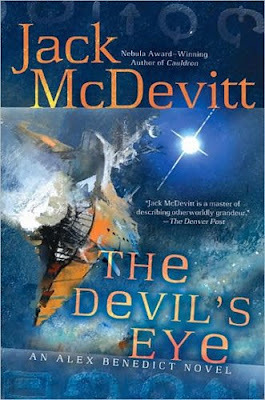 Having read a good handful of McDevitt novels almost 10 years ago, I'm really glad to jump into another novel from him. Actually I've read this maybe a month and a half ago - my records on Goodreads show Sept 11 as finished date - when I received it since this one was a read on receive book as are all McDevitt novels for me.